These self-adhering pickguards are easy to apply and keep your guitar looking scratch-free and brand new. 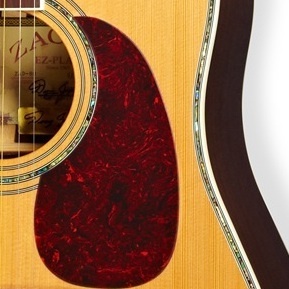 Keep as a replacement or change the look of your guitar with a classical tortoise shell look. Every one is unique and different!